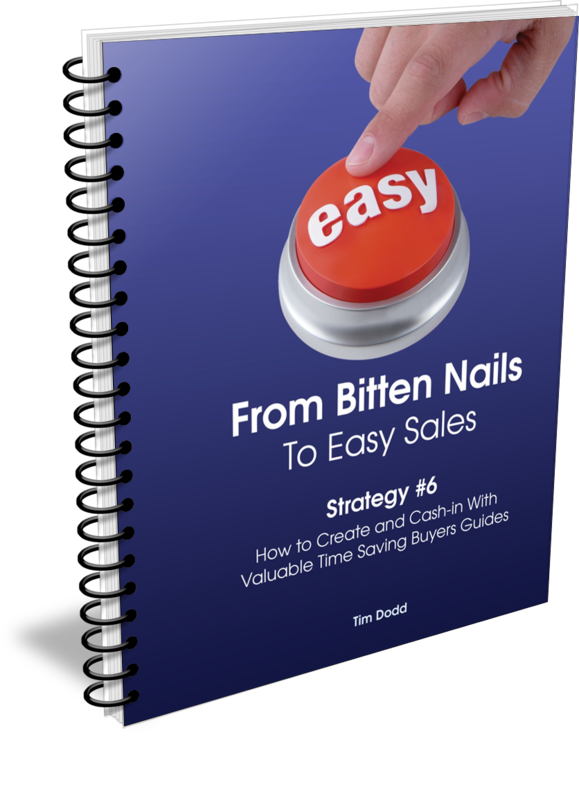 You now have instant access to our "Create and Cash In With Valuable Time Saving Buyers Guides" Notes. Although relatively short, these notes walk you through all the steps you need to consider when putting together your own, unique, Buyers Guide that instantly identifies ready to buy prospects who are researching the market in which you also sell. The sooner you read and implement this buyer strategy, the faster you'll start attracting a flood of prospects ready, willing and able to purchase.